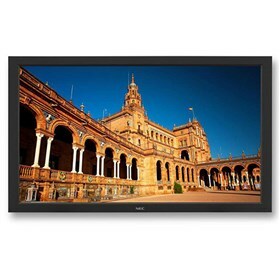 The NEC NECBDG-90784 is a commercial-grade large-screen LCD display. This display has 1920 x 1080 resolution that displays incredibly clear imagery and features IPS Panel Technology. It can be easily pluged into a variety of devices with a variety of inputs including DisplayPort, DVI-D, HDMI and VGA ports. The NECBDG-90784 features 178° horizontal and vertical viewing angles and brightness of 370cd/m2 with 1300:1 contrast ratio. It also offers built-in 10W speakers , a public display-grade panel to protect against permanent image retention and a full selection of inputs, including digital loop-through. The NEC NECBDG-90784 has many exciting features for users of all types. The NEC NECBDG-90784 is sold as a Brand New Unopened Item.